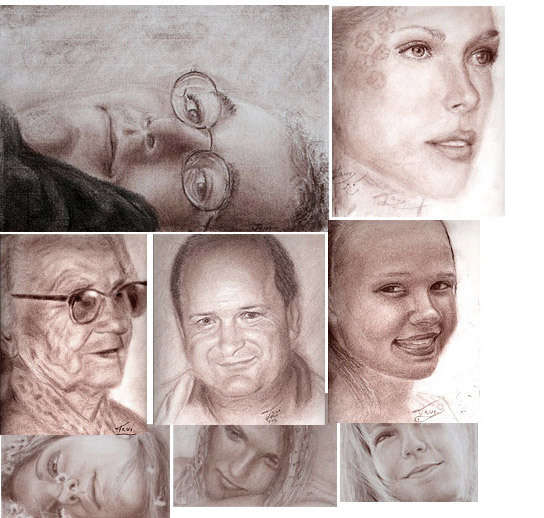 Ideami has done numerous portraits for clients all around Europe. 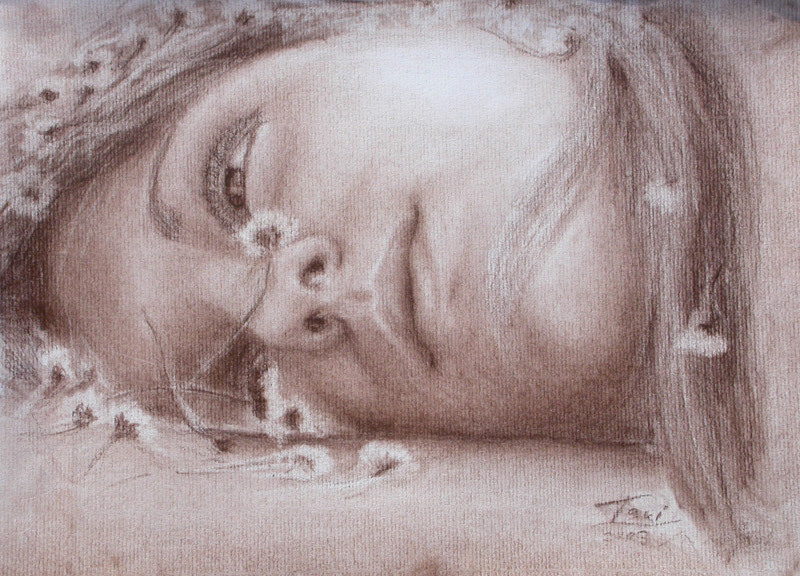 For his portraits Ideami works mainly with the technique of Conte (Sanguine and Sepia). 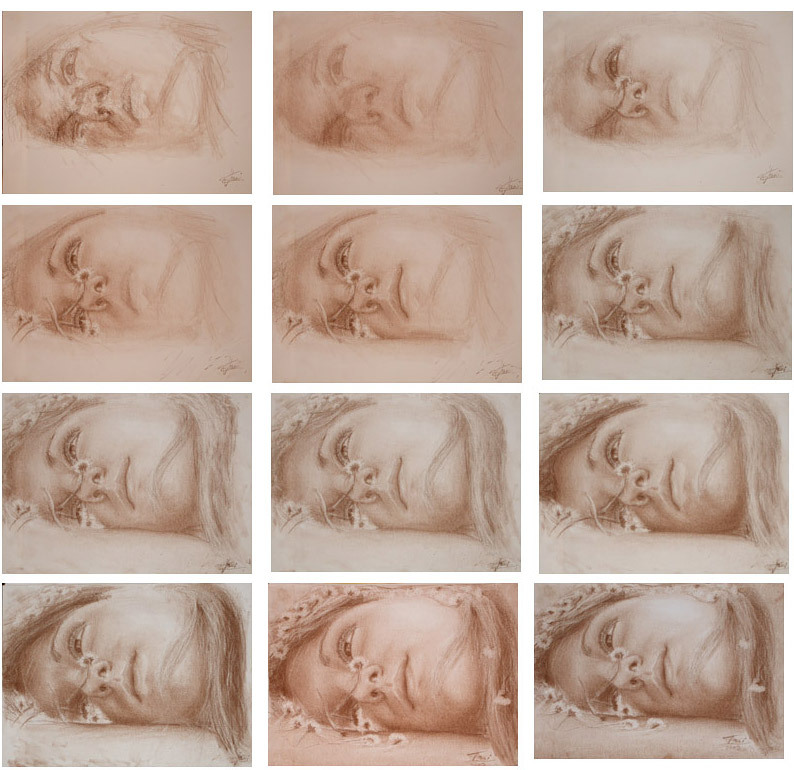 Conte is a technique that often serves as a bridge between drawing and painting as it allows the artist to draw carefully the detail and also to use different kinds of brushes to produce painting texture. 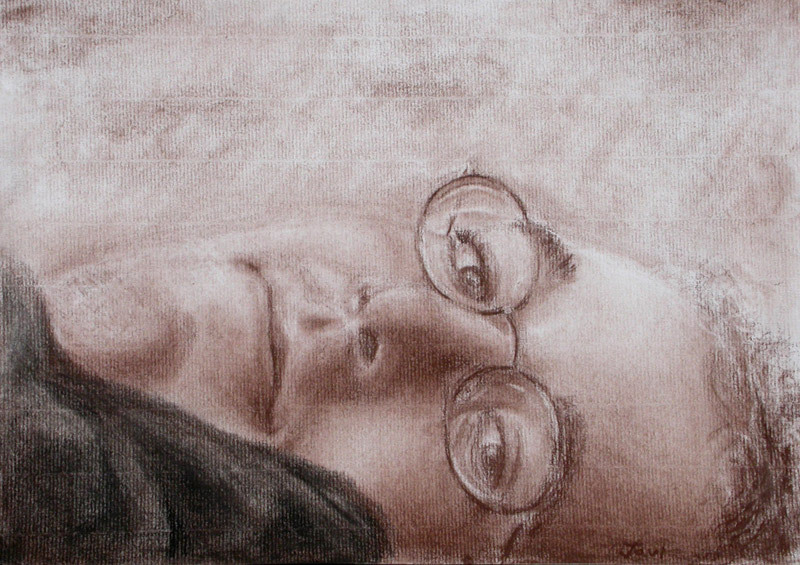 Apart from his portraits, Ideami works with many other painting and drawing techniques including: Acrylics, watercolours, pencil, Charcoal, digital art, etc. Sometimes he uses them by themselves, other times he combines them to produce mixed-technique works. Javier’s main interest has always been the human face and figure. This is clearly expressed as well on his photography and digital artworks.